It seems as if Lupita Nyong'o has taken up a comfortable residence in the arms of Walt Disney as she's no doubt seen huge returns for her CGI turns in both The Force Awakens and The Jungle Book, but with her latest film, Queen of Katwe, the actor is finally stepping back in front of the camera and in what seems to be a well-intentioned and heartfelt family film that will tell an uplifting story of struggle and overcoming certain odds. 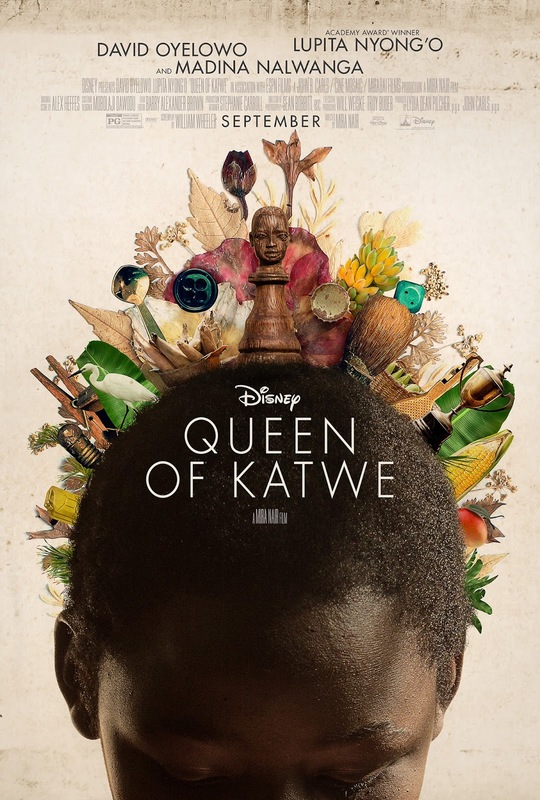 Based on a true story with William Wheeler (The Hoax) adapting Tim Crothers book of the same name the film tells the story of a young girl from Uganda who trains to become a world chess champion. While this could very well be the next in the long line of inspirational Disney sports movies there is of course something distinctly different about it and that is the fact we are seeing a very non-American story. There have been plenty of movies concerning chess that are interesting enough, but to layer in this intellectually challenging sport typically thought to be relegated to wealthy old white guys and throw into the mix a young girl living in poverty makes it almost too unbelievable to be true. Nyong'o will play the mother of the young girl, Phiona Mutesi, who will be played by newcomer Madina Nalwanga. If this trailer is any indication the film will very much be more about the journey than it is the destination as it is easy to see the beats this thing is going to hit, but then again director Mira Nair (The Namesake) seems a force to be reckoned with and an extremely talented filmmaker that could turn what is undoubtedly an inspirational story, if not still a familiar one, into something truly stirring. David Oyelowo also stars with Queen of Katwe opening on September 23rd, 2016. Synopsis: For 10-year-old Phiona Mutesi (Nalwanga) and her family, life in the impoverished slum of Katwe in Kampala, Uganda, is a constant struggle. Her mother, Harriet (Nyong’o), is fiercely determined to take care of her family and works tirelessly selling vegetables in the market to make sure her children are fed and have a roof over their heads. When Phiona meets Robert Katende (Oyelowo), a soccer player turned missionary who teaches local children chess, she is captivated. Chess requires a good deal of concentration, strategic thinking and risk taking, all skills which are applicable in everyday life, and Katende hopes to empower youth with the game. Phiona is impressed by the intelligence and wit the game requires and immediately shows potential. Recognizing Phiona’s natural aptitude for chess and the fighting spirit she’s inherited from her mother, Katende begins to mentor her, but Harriet is reluctant to provide any encouragement, not wanting to see her daughter disappointed. As Phiona begins to succeed in local chess competitions, Katende teaches her to read and write in order to pursue schooling. She quickly advances through the ranks in tournaments, but breaks away from her family to focus on her own life. Her mother eventually realizes that Phiona has a chance to excel and teams up with Katende to help her fulfill her extraordinary potential, escape a life of poverty and save her family.